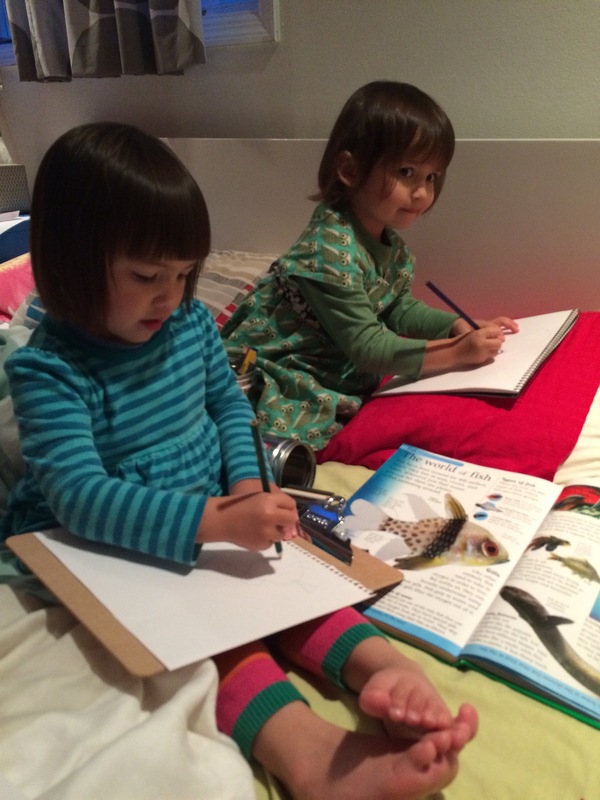 Daylight saving kicked in over the weekend so whilst we have a sliver more daylight in the morning the late afternoons are drawing in which means we need to eat dinner earlier because when my daughters see it’s dark outside they want to go to bed. 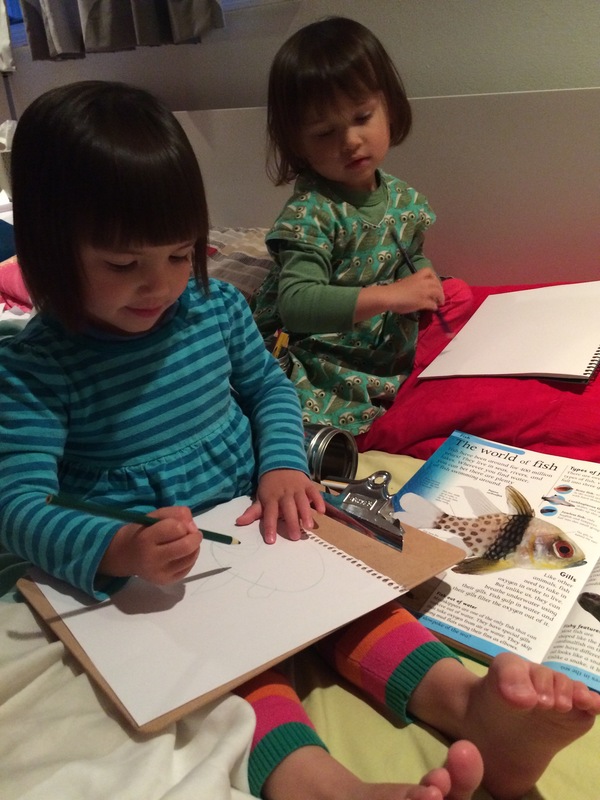 At ten past five I had dinner on the go and but needed girls to change into pjs so obvious this is the perfect time for Zoey to ask me to draw her a fish. Even though I really wanted to eat early I couldn’t draw Zoey’s fish, oh no! 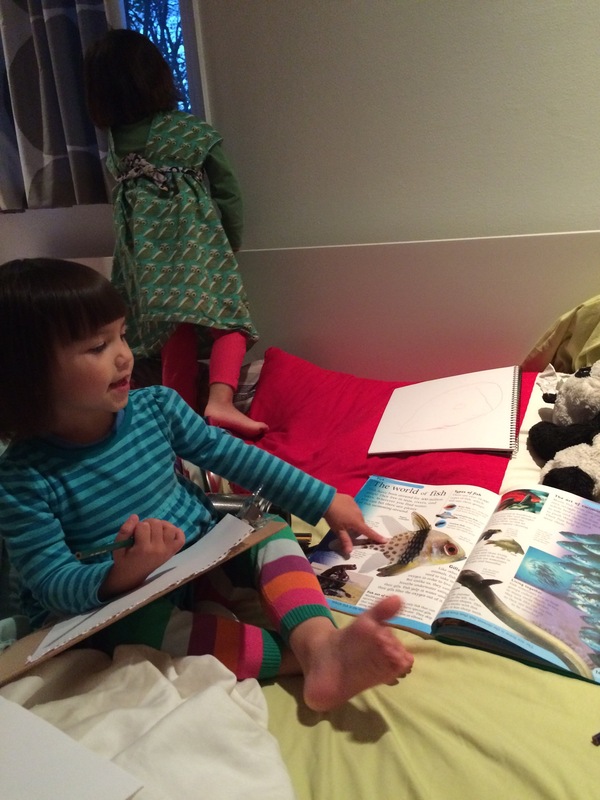 I told her we could draw fish together from our big animal book and Nomi joined in too. We looked at the shapes that made up the fish and the details. Once we broke it down into parts, and started drawing Zoey soon stopped asking me to draw it for her and was proud of work.